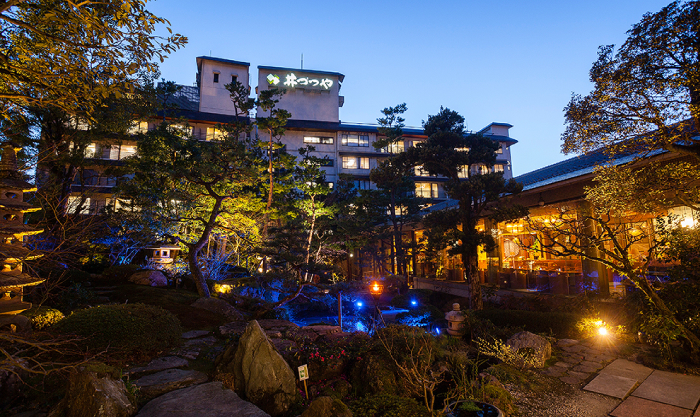 Since the originally opening of the public hot spring in 848 by jikakudaishi, our town is…. 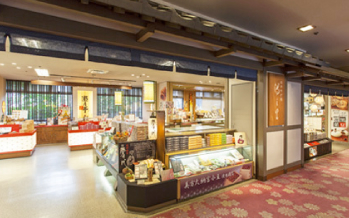 Founded in 1702, Yumura Onsen is a town nestled deep in the mountains with a long history. 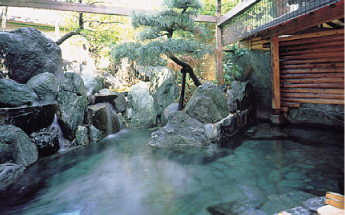 Izutsuya is located in this onsen village and has been family run since the beginning of the Edo era. 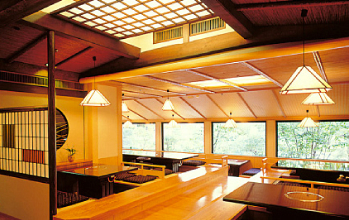 It is a Japanese style inn where you can enjoy the essence of Japanese hot spring. 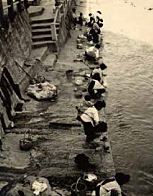 The kitchen of the town, "Arayu"
With the rockbed as a washing board, it is part of everyday life in Yumura to see laundry being done in the waters. The quality of the water keeps clothing white and soft. The public bath used by most of the locals "Yakushiyu"
The hot spring waters scald not only the seasonal vegetables, but also, in old days, squid, crab, and octopus. The town is famous as the birth place of Arayu tofu. Using the heat from the earth, laundry is finished in a flash. Not to be missed "Yutanpo" in the snowy countryside. When returning from the public baths, local people used to fill Yutanpo (hot water bottles) with hot spring waters flowing from the fields. They used these yutanpo to stay warm in an environmentally friendly way. [The upper photo] This bath features dynamic boulders in it’s construction. 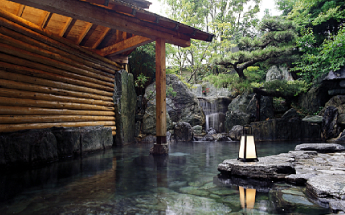 Outside there is an open air bath with a Japanese garden and a cypress bath. Because the bathing areas switch in the early morning, you can experience both areas during your stay. 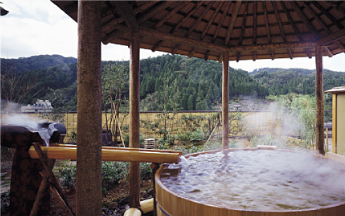 Our baths are sourced by our own hot spring, so you can enjoy the rich waters as much as you like. [Lower photo] Overlooking the town of Yumura, please enjoy this spectacular view. 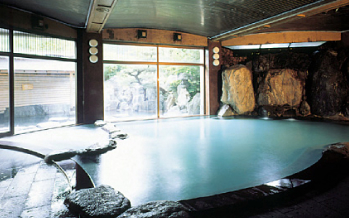 We use Bluestone from Shikoku in our open air bath. With the hot water flowing over it, it appears green. Please enjoy the overflowing natural feel of our open air bath. Enjoy the relaxing natural herb fragrance while you soak in this open air bath. Go as a family, as a couple, or even just by yourself and enjoy the atmosphere of an open air bath. Enjoy a relaxing bath as a family. Paraben free and safe for children and elderly. 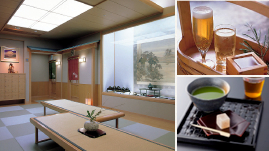 At the open-air bath, we offer a drink service of beer, sake, soft drinks and cold water. In the second basement floor bath, with cold macha tea and mizugashi sweetness, we offer health kuromame tea. *However, you cannot use the bathing ares from 02:00~03:00 when the bathing areas are changed. Bathing good for: Neurological problems, sore muscles, joint pain, stiff shoulders, bruises, chronic digestive problems, arthritis, sprains, hemorrhoids, poor circulation, fatigue, cuts, burns, gynecological issues, and more.Drinking good for: chronic digestive problems, chronic constipation, gout, cholelithiasis, and obesity. Please rinse your body with Kakeyu, hot water, to adjust your body temperature. Enter the bath only half way at first to get used to the water temperature and pressure. Please only stay in the water until your body begins to sweat. If you are dripping in sweat, you have been in too long. Please take a break and use a bedrock bath, foot bath, or rest at the bathing area. Move around in the water and if you enter the bath a second time keep your body moving. Do not take a shower after you have been in the onsen. 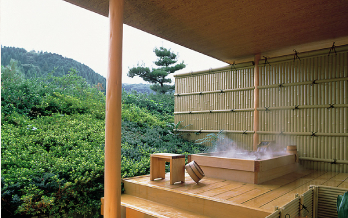 You will lose some of the healing properties of the hot spring you soaked in. Because soaking in the hot springs takes some of the water out of your body, please stay hydrated. Rehydrate with hot water, tea, sports drinks, or, if you can, the hot spring water. 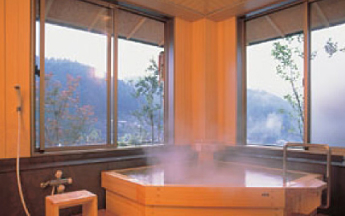 Please rest at least 30 minutes after getting out of the hot spring. Your body’s blood pressure needs time to adjust. While you are relaxing, you can use the time to dry of your body and hair. Enveloping hot springs, delectable taste, great hospitality. Please enjoy our exquisite grounds. It uses "Saji", one of Japan's three stones, found in Tottori prefecture. Relax while viewing the gentle flow of the garden. 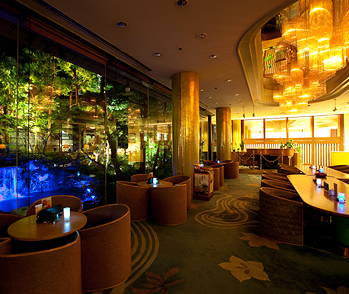 Japanese Style Bar: Izakaya "Harukichaya"
Only using the best fish fresh from the day, each dish is individually crafted. 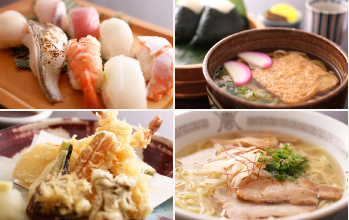 From light ramen, udon, fried chicken, and edamame, to sushi, tempura, and the season’s finest dishes. Feel free to visit anytime, even if it’s only for a meal. “Beauty, health, and comfort” is the theme of our relaxation space. In the summer, you can enjoy our limited time garden pool! Only available from mid July to end of August, the pool is available for free. 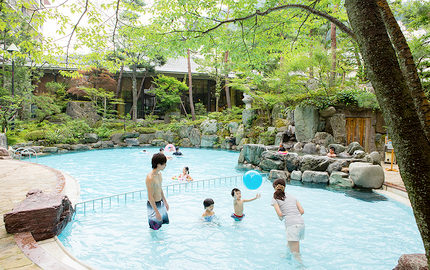 Once you cool off in the pool, you can use the small onsen next to the pool. 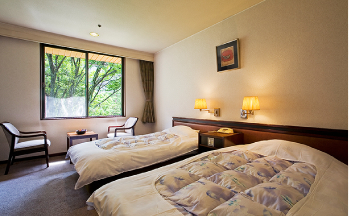 All of the rooms at Izutsuya are supplied with water from our private onset. 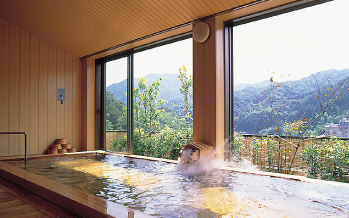 You can relax and experience onsen right in the ryokan. 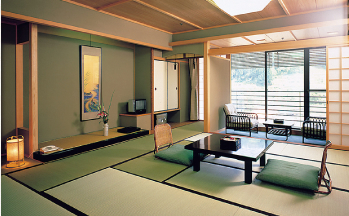 There are calm, peaceful, traditional Japanese rooms. Stretch your legs, take a breather from your journey, and relax as long as you’d like. For those customers who have trouble sitting, we offer twin and single rooms. Please enjoy the onsen freely. 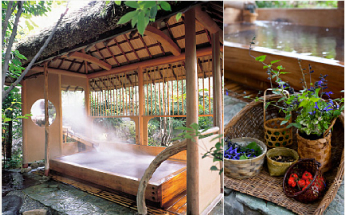 Rooms that come with private open air baths are spacious tatami rooms that give a true feel of Japan. 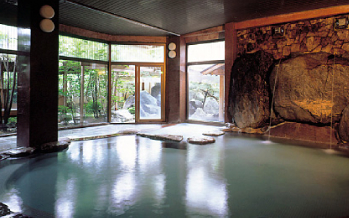 Enjoy onsen however you like, whenever you like. 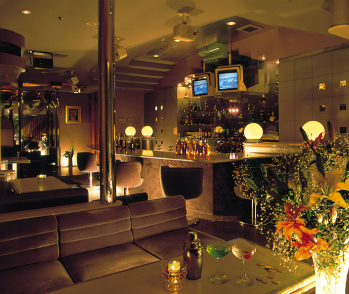 Between a Western and Japanese style room, these lodgings are spacious. Great for special occasions or just to treat yourself, why not splurge on our suites. All rooms come with a heater/air conditioner, refrigerator, phone, safe, shower room, toilet, and air purifier. We provide water kettle, tea set, cups, yukata robe, obi belt, bag, socks (winter only), slippers, face towel, and bath towel for our customers. Toothbrush, hair cap, hair brush, cotton swab. With exceptional skill and the creation of new culinary techniques, the head chef has been given the title of “Contemporary Master Craftsman”. He has received many accolades, including winning the 25th National Skill Grand Prix in Hyogo. Please enjoy our cuisine made carefully using Head Chef Inoue’s artistry. 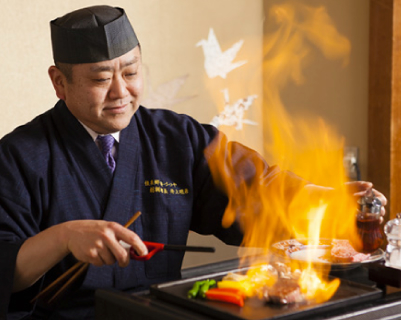 “Sekimaeryori” offers a unique experience of having the chef make your meal in person tableside. The chef will use the freshest seasonal ingredients and give you quite a show right before your eyes. 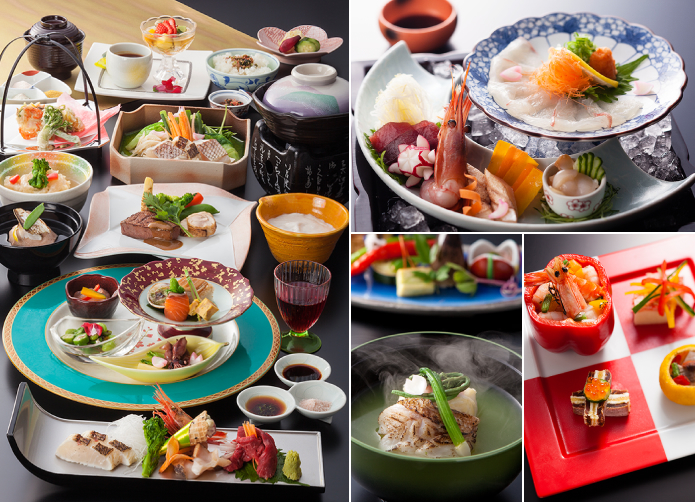 Dishes are prepared using the finest ingredients chosen to represent the season and the life of Japanese cuisine. You can always enjoy a multi-course feast that are skilfully made using the “locally produced locally consumed” crops of Tajima. Copyright (C) 2015 izutsuya All Rights Reserved.